All the fighters slated to participate in tomorrow night’s “‘UFC 199: Rockhold vs. Bisping II” event tipped the scale Friday inside The Forum in Inglewood, California. 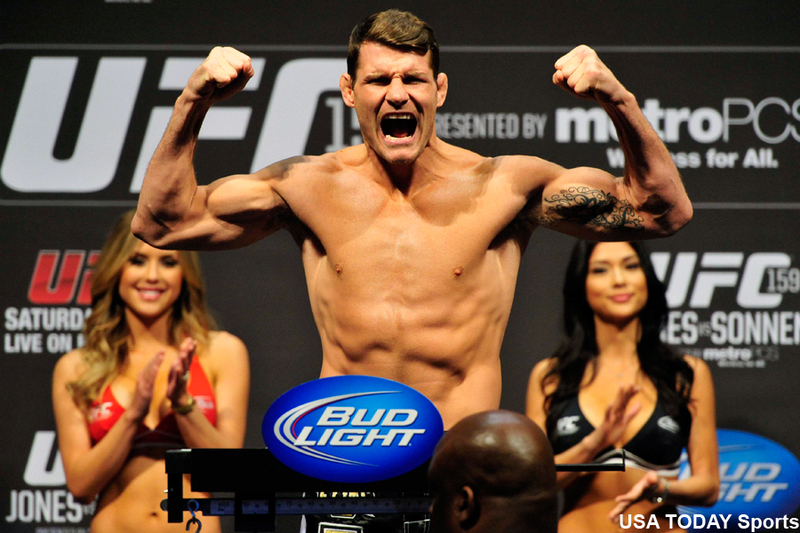 After 26 UFC fights, spanning a decade’s worth of time, Michael Bisping (pictured) finally gets his crack at a title when he challenges middleweight champion Luke Rockhold in Saturday’s main event. Dominick Cruz puts his bantamweight throne up for grabs when he faces Urijah Faber for the third time in the co-main event. The bitter rivals each own one win apiece.